Police say "at least one gunman" is "still at large." 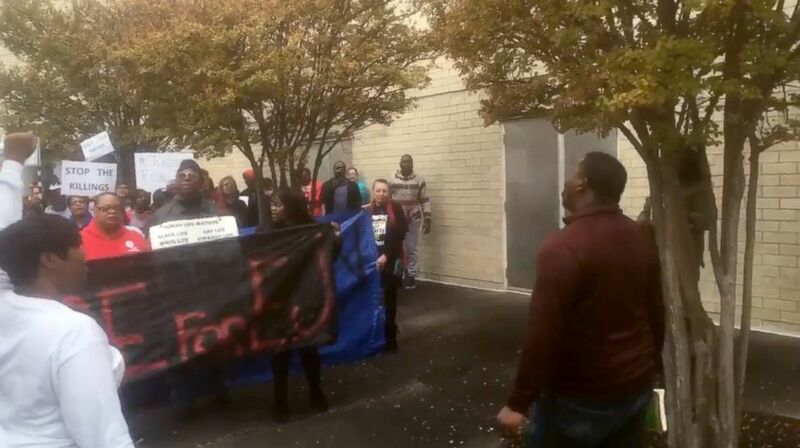 The aunt of a 21-year-old man shot dead at an Alabama mall said her nephew was killed by police "for no reason at all." Emantic Fitzgerald Bradford, who was armed, was shot Thanksgiving night when another man -- first believed to be Bradford -- and an 18-year-old got into a physical altercation at the Riverchase Galleria mall in Hoover, a suburb of Birmingham, according to Capt. Gregg Rector of the Hoover Police Department. Police initially said they believed Bradford pulled out a gun and shot the 18-year-old teenager twice in the torso before fleeing. 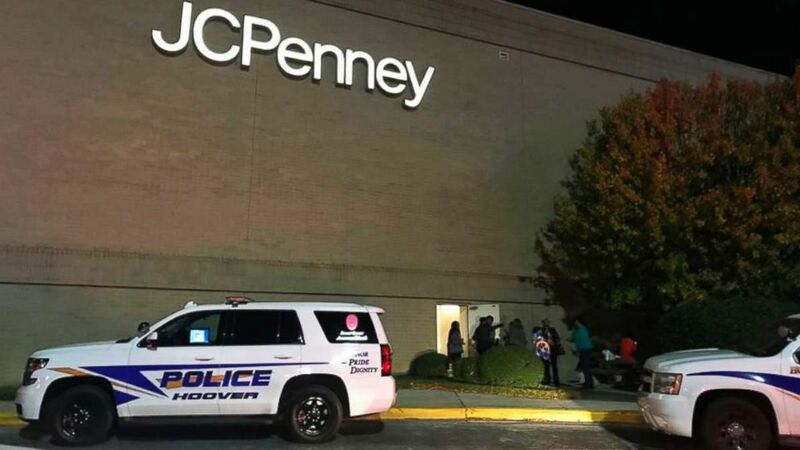 (Carol Robinson/Press-Register/AL.com via AP) Police respond to a fight inside the Riverchase Galleria mall after gunfire erupted Thanksgiving night in Hoover, Ala., Nov. 22, 2018. Bradford, who was fleeing "while brandishing a handgun," was spotted by two uniformed police officers, one of whom drew a weapon and fired on him, authorities said. Bradford was pronounced dead at the scene. On Friday, Rector said in a statement, "New evidence now suggests that while Mr. Bradford may have been involved in some aspect of the altercation, he likely did not fire the rounds that injured the 18-year-old victim." 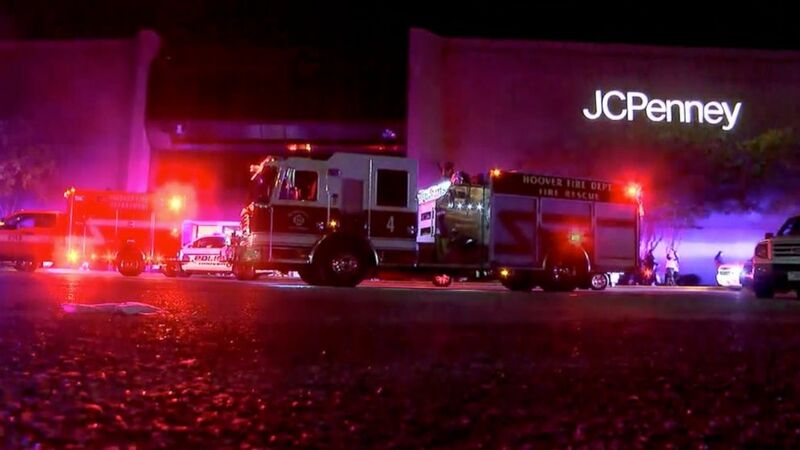 (AP) This Thursday, Nov. 22, 2018, image made from a video provided by ABC 33/40, authorities respond after reports of shots fired at the Riverchase Galleria in Hoover, a Birmingham, Ala., suburb. "They killed him for no reason at all. He wasn't the shooter," Bradford's aunt, Catherine Jewell, told reporters on Saturday. Jewell said her nephew was in the Army and was home for Thanksgiving. "He was a great guy, he was very respectable," she said. "They did him wrong." In a statement released on Saturday evening, Bradford's family said they were working to determined what exactly happened in the moments leading up to the fatal shooting. "Our family is completely shocked, heartbroken and devastated at the tragic death of our beloved “EJ,” the statement reads. 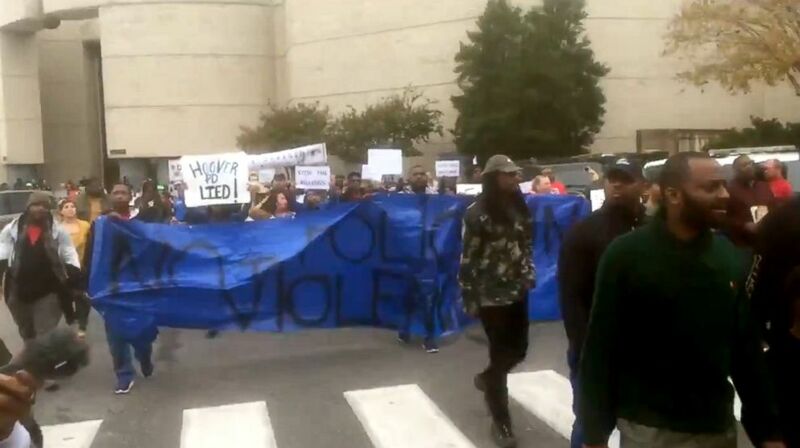 Demonstrators in support of Bradford gathered at the mall Saturday, holding signs like, "stop police killings." 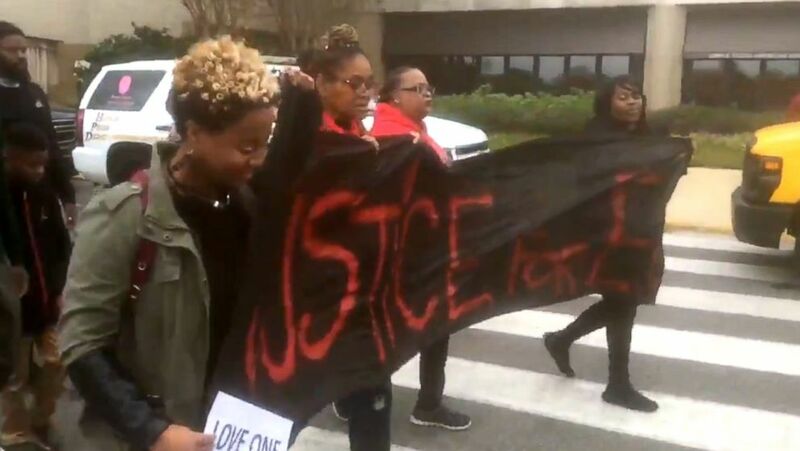 (PatThomasNews/Twitter) Demonstrators gather at the Riverchase Galleria mall in Hoover, Alabama, Nov. 24, 2018, after a deadly officer-involved shooting at the mall. Rector had said on Friday: "Investigators now believe that more than two individuals were involved in the initial altercation. This information indicates that there is at least one gunman still at large who could be responsible for the shooting of the 18-year-old male and 12-year-old female." Rector on Saturday didn't immediately respond to a request for additional comment from ABC News. 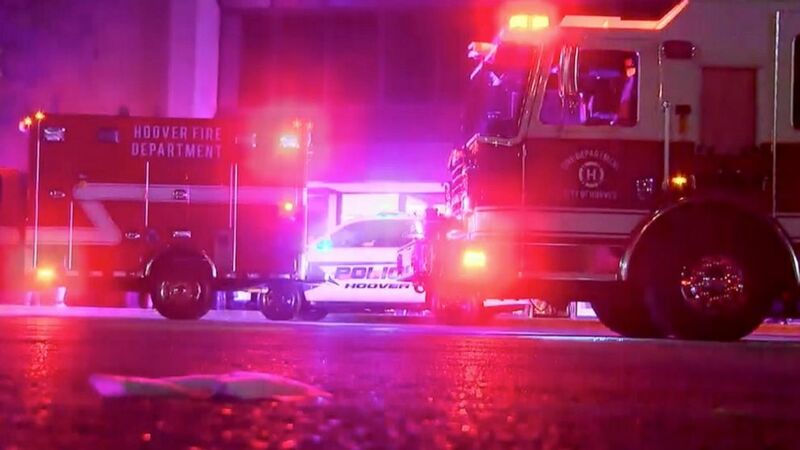 The 18-year-old was last reported to be in serious condition and the 12-year-old, an innocent bystander, was last reported in stable condition. The Jefferson County Sheriff's Office has turned over the investigation to the Alabama Law Enforcement Agency due to a potential conflict of interest. "We have determined that one of the witnesses is closely related to a Sheriff's Office sworn Personnel," said Randy Christian, chief deputy of the Jefferson County Sheriff's Office. "In order to remove any perceived biases, at the request of the District Attorney, we have turned the investigation over to ALEA." The officer involved in the shooting has been placed on administrative leave, pending the outcome of the investigation. ABC News' Christopher Donato, Alexandra Faul, William Gretsky, Julia Jacobo and Louise Simpson contributed to this report.